Happy Monday, loves! Hope you all had a wonderful weekend. 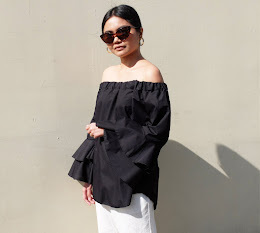 In today's OOTD post, I'm sharing the outfit that I wore last Saturday while running errands and checking out the End-of-Season sale offerings from my favorite high-street brands. I actually put myself on a self-imposed shopping ban at the beginning of 2015 as I have amassed quite a number of pieces last year. Though I still have a rack full of unworn clothes, I couldn't pass up on a few great deals from Zara, Topshop, Promod, etc. Will see if I can squeeze in a fashion haul video this week. 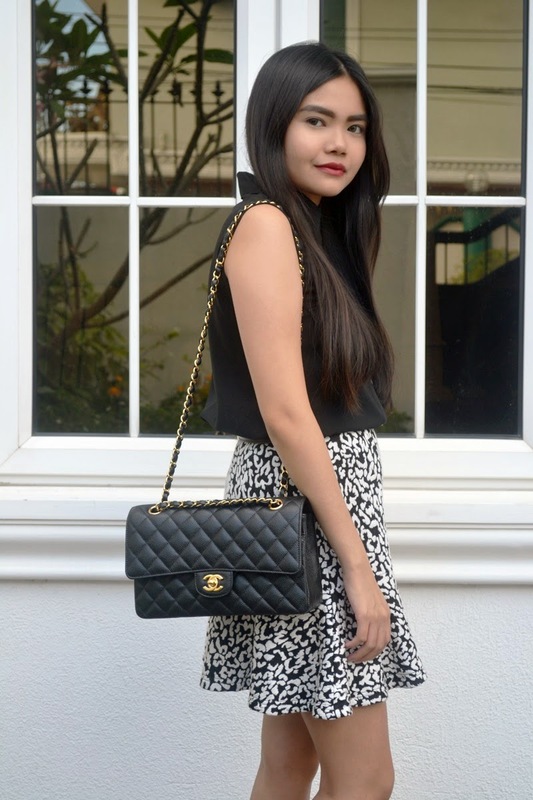 One of the items that I got last year was this leopard skirt from Front Row Shop. I love that it's in black and white instead of your typical brown leopard print. It also features one of my much loved skirt silhouettes, the fluted hem. I've been wearing a ton of plain black and white ensembles the past week so I topped off this outfit with a camel blazer for variety.